I have written before about our junk drawer being a sweet little corner of ghastly horror in our home. I would attempt to address the situation, but let’s be honest: it terrifies me. So I’ve committed to a solid “If I ignore it, maybe it will go away” policy. Avoidance works okay with the drawer because it’s a small space mostly unseen by others…but there’s been a far larger fright looming in our home, one that made the junk drawer seem like slice of spa-link tranquility. This space is relatively huge, used zillions of times a day, and is seen by pretty much everyone who enters our home. It has always been an odd space, designed to hold a washer and dryer if we wanted (we did not), and lacking in shelves to allow enough room for larger items like the vacuum and dog food bin. 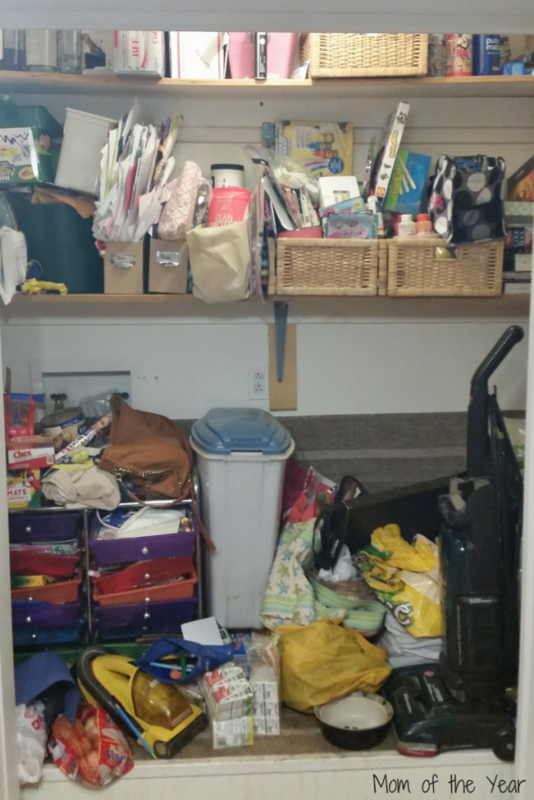 In our five years in this house, this closet became the least user-friendly space in the home that was more used than any other space. EVERYTHING is kept in this closet. 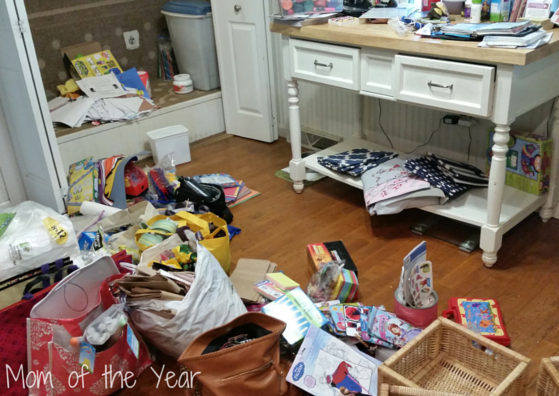 From paper towels to school projects to extra light bulbs, this is the dumping ground. The problem was it looked like a dumping ground. I would wince each time I saw it and sob a little to my husband over what a pit it had become. It was, in short, the super-sized version of our junk drawer on display for all to see. I didn’t want to only organize it; I wanted it to look nice. 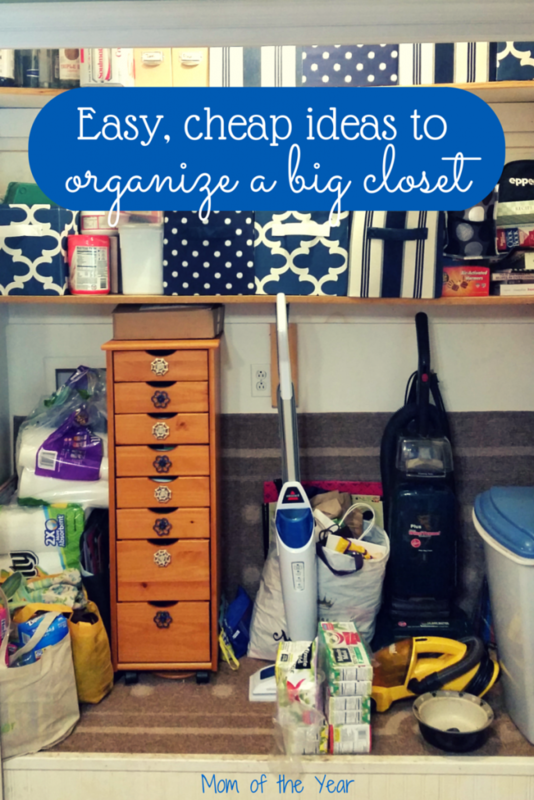 Though I wouldn’t normally fuss over the aesthetics of a closet, since this one is so large, so frequently used, and in such a primary spot in our home, this mattered to me. 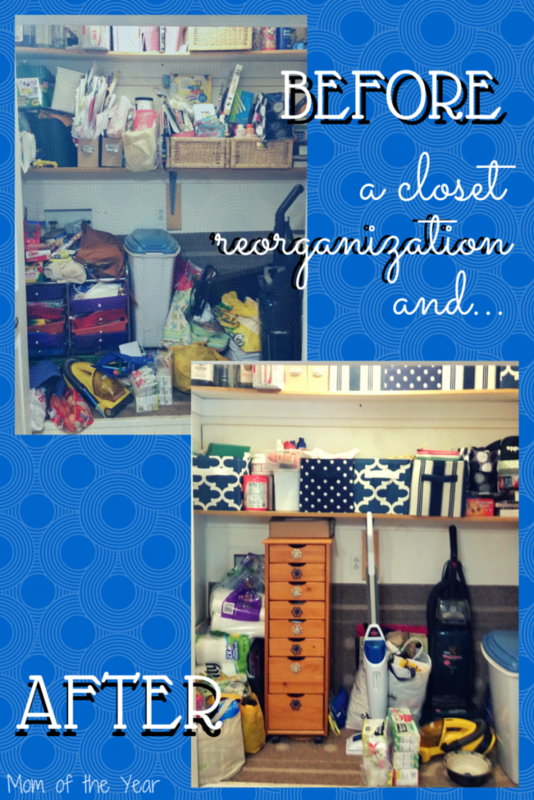 When Wayfair asked me to participate in their Pop of Color campaign by adding a splash of color to a space in my home, I knew reorganizing our chaotic closet was the perfect project to fit the bill. First we had to dung the mess out. This took forever and made want to sob harder, but my husband poured me a strong cup of coffee and told me to buck up. 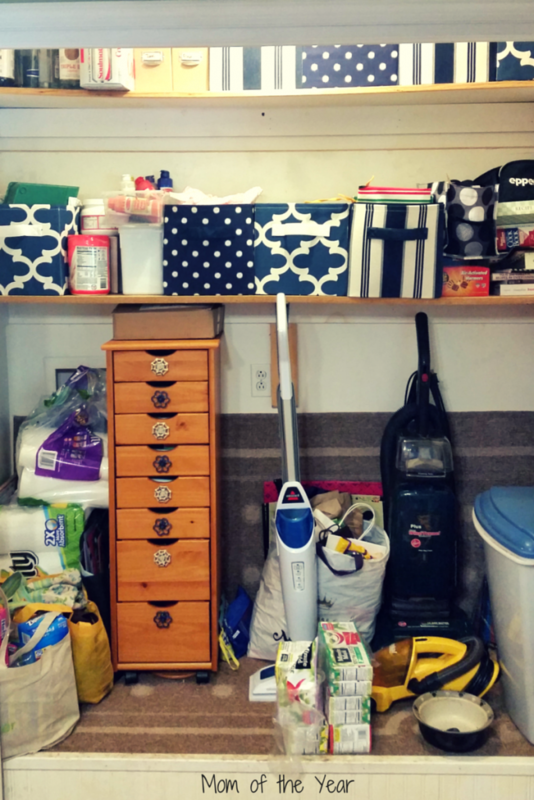 We pressed on, and after getting rid of three garbage bags full of crap and sorting things out, we were ready to start putting things away neatly. After spending a lot of time poking around all of the great items on Wayfair’s site, I determined these three products would help us best organize our space while adding a pop of color to the closet in the most economical way possible. I’m all for pretty closets, but c’mon it’s a closet–I wasn’t going to spend a fortune on this! The primary piece for our project was this wooden roll cart. The plastic drawer set we’d been using to stash all of the kids’ art supplies wasn’t holding up to hard and frequent use (see first pic above for evidence). 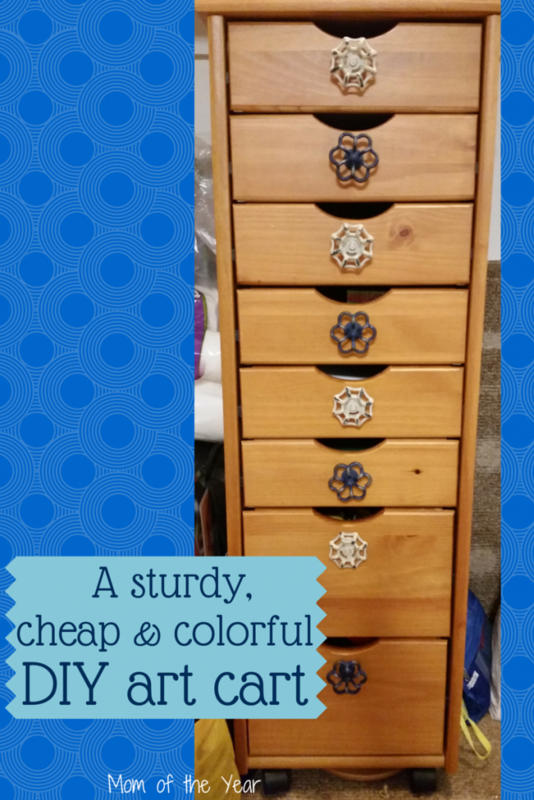 We needed something sturdier, and I was thrilled to find this item. To add color to this cart and make it more functional for small hands to use, we secured one of these knobs on each drawer. 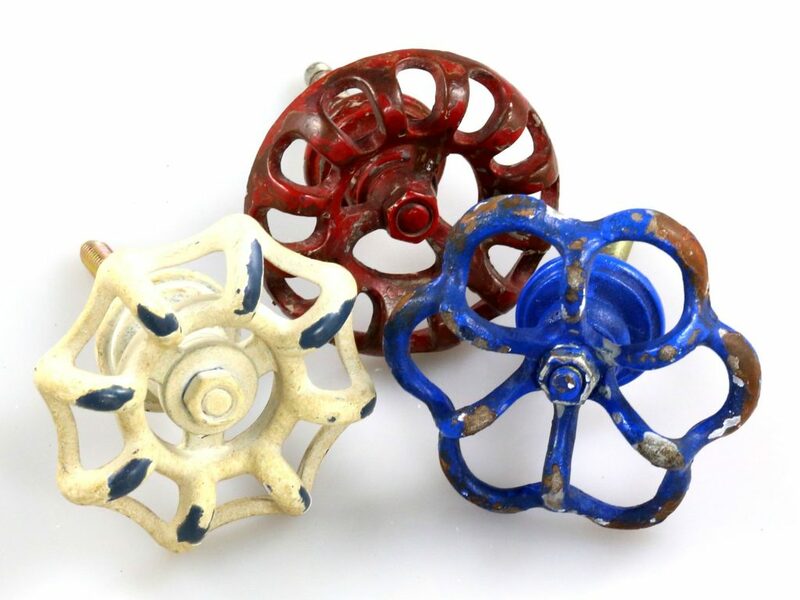 Made of quality metal in a timeless rustic design, I know they will go the distance of wear and tear over the years and won’t date themselves as my kids age. And…let me introduce our finished project–a kitchen closet that doesn’t attack me with chaos every time I look at it! Getting rid of all the clutter and sorting everything felt amazing, and I love the blue and white that helps tie the space together and adds color. What was once the greatest eyesore in our house now breathes a little breath of fresh organized air. Sweet! Go organize your own space with a few pretty pops of color, friends. It will do wonders to add a little calm and pretty to your home! I LOVE those knobs!!!! Happy organizing! Thanks, friend! They were such a neat find! I love the way this came out and you did a great job. I have to tackle my girls’ bedroom this weekend and you have just inspired me!! You can do it! Go get ’em, Janine! I love the bins! My house looks just like your before pictures. It’s a problem. Solidarity in keeping it real! Oh, Geez. Your before picture looks like our boiler room/closet/storage area off our kitchen. I’m wincing just thinking about undertaking what you did! Great job. Isn’t it funny how we don’t often think of using color inside a closet, but it can instantly make it feel more organized? 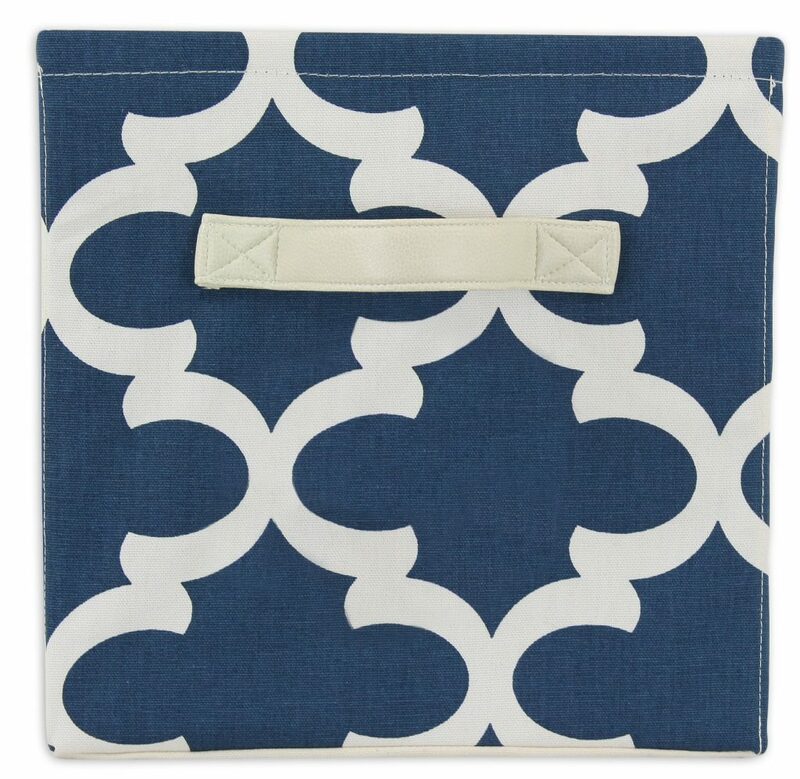 Love the blue lattice-work bins. Yes! I figure I look at it so often, making it prettier had to be a win, right? Thanks for visiting, Darla! Love the after! What a pretty and organized space 🙂 the knobs are really a fun touch! Thanks, Erica! The knobs are my favorite part!